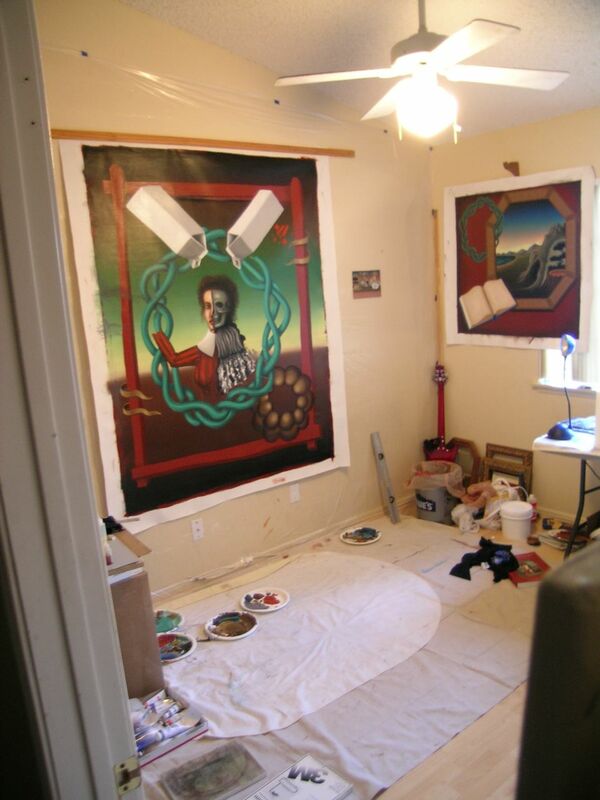 Not much has been happening of late, just in the studio working away. Yesterday afternoon, we met up with the crew and went to the Renaissance Fair at Sunset Park, just South East of the airport. The fair goes for 3 days and has stalls, fair rides and lots of 'medieval' eats. 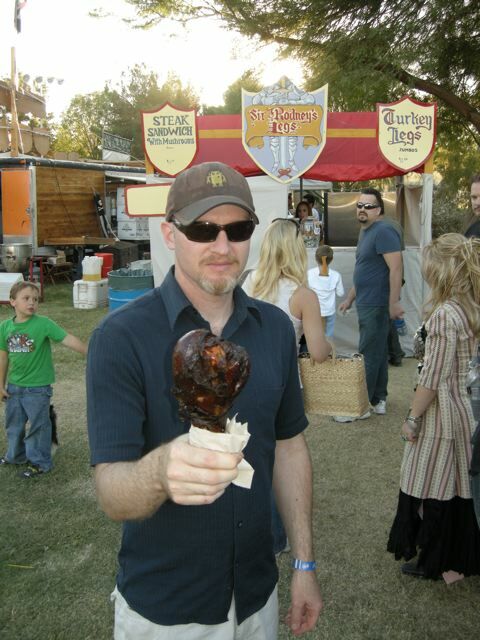 Here's me with turkey leg. Two of those and your blood turns to gravy.